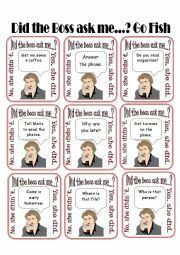 This is a Go Fish game for practicing Reported Speech. It is loosely based on the Miranda Priestly character from "The Devil Wears Prada." File includes complete set of cards and instructions. 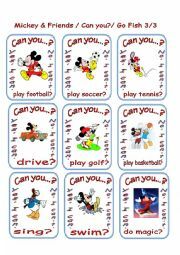 Go fish for practicing Can you plus Action Verbs. Instructions in part 3. 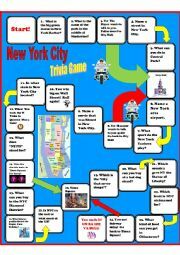 I made this board game for my KET Jrs class because we are talking about New York City. It has some "New Yorkese" ("Yo!" "Hizzoner" i.e. the Mayor, etc.) and the questions aren�t too difficult. There is a key included. Have fun! Board game for practicing the use of past modals. The players move around the board. They have to explain the past situations on written the square or pick up a card, look at a picture and try to explain what happened. Board, Cards, Card backs and Instructions are included. My students enjoyed it. I hope yours do too. 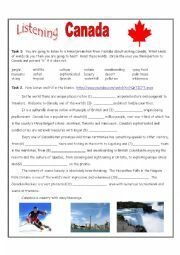 This is a worksheet to recognize clothing vocabulary. Read the description and match with the correspondending celebrity. Second page is a key. 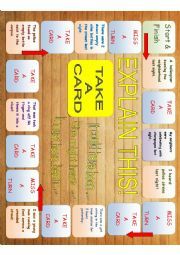 You can use this board game to work on the irregular simple past or Old West vocabulary or both. Set includes game board, questions cards, boot reward cards and instructions. Yee-haw! 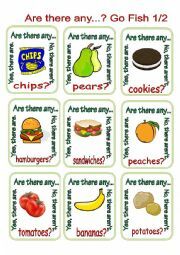 This is part 1 of a game to recognize healthy and unhealthy habits. 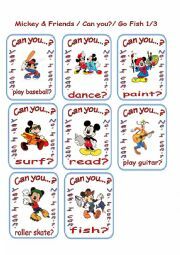 It�s for very young learners so there�s not much language. Thanks again Edite Tentere for the template. Pet Style Reading Exercise about hobbies of famous celebrities. There are a few surprises! Key inlcuded. My students love Old MaId so I made this set with Halloween vocabulary for them. WARNING The images are a bit strong. This set is not for young learners. It�s for thrill-seeking teenagers. Instructions included. I am sending 3 powerpoints: "That�s Not Enough! ", "That�s Too Much!" "That�s Too Many!". 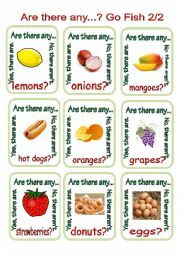 I just downloaded images from the Internet and used them to get my students to use the language. It worked quite well and was very amusing. This is the 3rd part of 3 (That�s too much, That�s not enough and That�s Too Many). 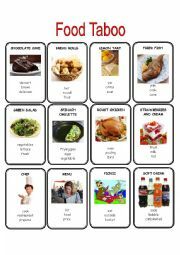 Just some pictures I downloaded from the Internet to get the students using the language.